Are There Still Mortgages For Bad Credit? Loan Classroom / Are There Still Mortgages For Bad Credit? We all make mistakes with our time and our money. There are few of us who have never done anything ill-advised with our finances. Unfortunately, the results of our mistakes with money can be added to a credit history that can then undermine future efforts to borrow — or to receive good terms when we do. One of the hardest loans to get when you have bad credit, though, is a mortgage. 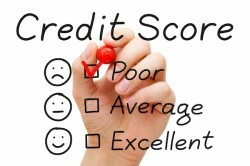 Getting a mortgage when you have bad credit can be difficult, but it is possible. After the mortgage market crash and the financial crisis, credit conditions tightened quite a bit, making it harder to find bad credit mortgages. However, the number of lenders willing to take a chance on a bad credit mortgage is rising right now. Even so, it might be difficult to find a lender that will accept you if you have a score of less than 620. If your credit score is less than that, but at least 580, you might be able to qualify for a FHA loan. In fact, a bad credit mortgage is more likely if you can get the government to back the loan, reducing the risk for the lender. While there are lenders willing to work with you if you have poor credit, or a limited credit history, the reality is that it is still difficult to qualify for a mortgage when you have bad credit. You need to be prepared for some of the realities that come with bad credit mortgage loans. Realize that you will pay a higher cost when you have a bad credit mortgage. 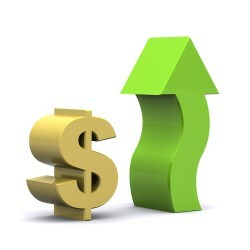 Bad credit mortgage lenders take a risk that you will default and to offset some of that risk, they charge higher rates. So, even if you qualify for a mortgage for bad credit, you need to be prepared to pay a much higher interest rate. You might also need a bigger down payment. If your best option is a FHA loan, you will need a down payment of at least 3.5 percent, and some borrowers with poor credit might be asked for a higher down payment. 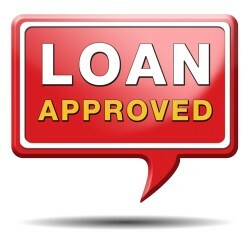 Some conventional loans come with a down payment requirement of 10 percent to 20 percent if you have poor credit. Once again, it’s an attempt by the lender to limit its risk in lending to you. Finally, you might need to provide increased documentation of your income situation. If you have a big enough, or secure enough, income, lenders are more willing to overlook your credit transgressions. However, no matter your income and down payment, your bad credit is going to mean a higher interest rate over the life of your loan. There is no getting around that when you have bad credit. If you can afford a mortgage with a higher interest rate, and you are mainly interested in getting in a home and building equity, you can buy now, at the higher rate, and then refinance after you’ve fixed your credit. Depending on your credit situation, it can take between one and five years to see substantial improvement in your credit score. Make a plan to pay your bills on time and reduce your consumer debt so that your credit score will improve. Once your credit score has improved, you can apply for a refinance at a lower interest rate, saving you money over time. You can get a mortgage with bad credit. However, you need to realize that you will pay for it. Decide whether or not it’s worth the extra cost. If not, work on improving your credit and apply for a mortgage after things have improved. If you decide the extra cost is worth it, get your loan, and then improve your credit as quickly as possible so you can refinance to a better mortgage rate.